Corflute is a great choice for short to medium term signage as the lightweight, fluted plastic material offers a cost-effective and durable signage solution. Corflute signs are suitable for both indoor and outdoor use, and can be lettered with simple computer-cut vinyl lettering or full-colour digitally-printed graphics. 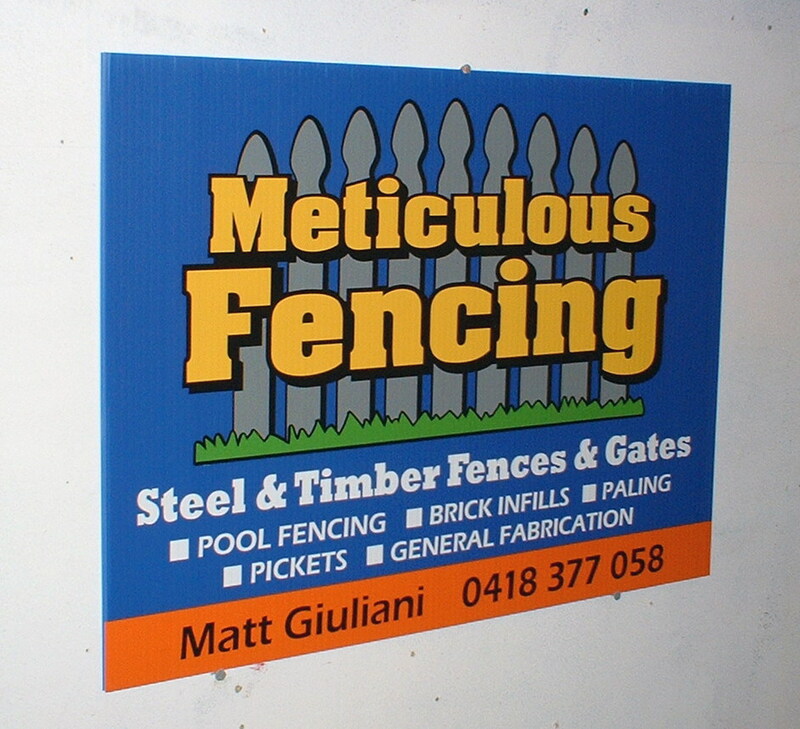 The real estate industry uses Corflute signs extensively right across Melbourne whilst this type of signage is likewise commonly used by trades people whilst working on a building site or as a yard sign. Corflute is also a versatile option for exhibition or event signage, simple construction signs or trade show signs. Call us today and talk to a friendly signage expert here in Melbourne about how to utilize these inexpensive corrugated plastic signs for your temporary indoor or outdoor signage needs.